What a name puzzle! 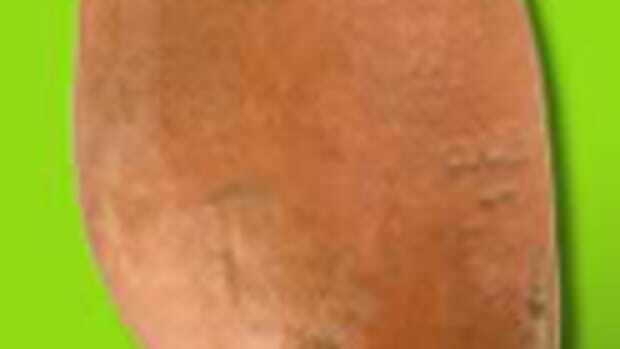 Sweet potato or yam? Are they one in the same? Nope. Despite the standard calls to “Pass the yams!” across the Thanksgiving dinner table, most vegetables labeled "yams" in the United States are actually orange-fleshed sweet potatoes—even though we use the terms interchangeably. 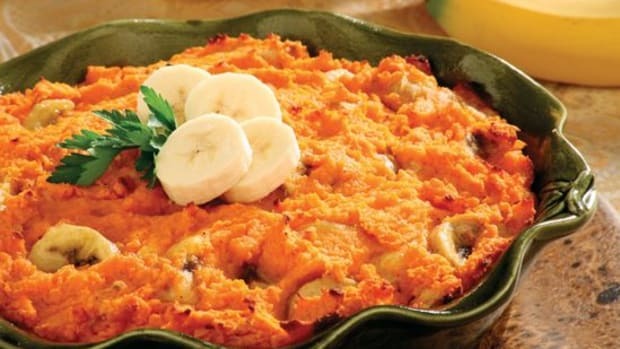 Sweet potatoes and yams aren’t sisters, cousins or even distant relatives. Botanically speaking, these two veggies don’t even fall into the same species. 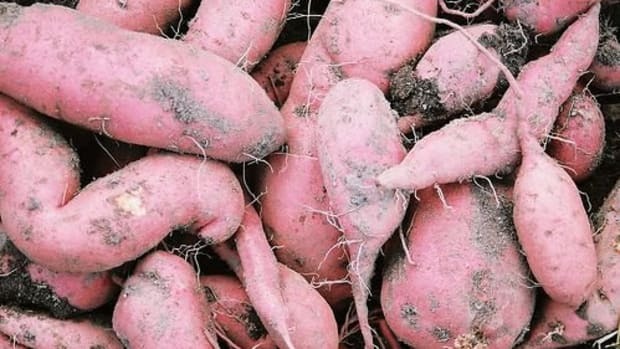 Unlike the sweet spud, yams are actually tropical roots. 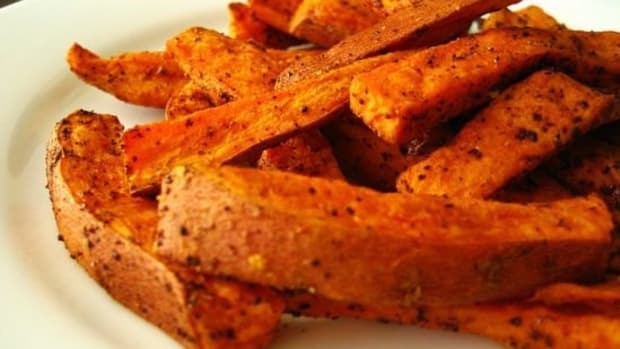 So, what’s the root cause of this sweet potato-yam mix up? Some farmers pulled a fast one. When sweet potatoes were first introduced into the U.S., farmers and shippers wanted to distinguish them from the more traditional, white-fleshed version, so they borrowed the African term, nyami, which meant “to eat” and stuck a version of the name (yams) on their potatoes. Yams are actually rarely available in the U.S. but are popular in the Caribbean, South and Central America and parts of Africa and Asia. From a green standpoint if you do find yams, you should probably choose sweet potatoes instead, as yams leave a high carbon footprint because they have to be imported from tropical locales. Not to mention, if you can’t find organic yams (that would be a darn difficult task in itself), imported fruits and veggies often contain higher levels of pesticide residues. While sweet potatoes come in more than 400 varieties, we know them best as the red-skinned tubers with the vivid orange insides that taste so scrumptious. 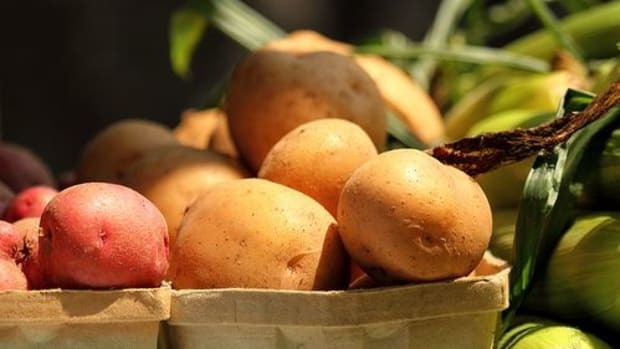 These spuds can range in color from white to cream, yellow, orange, pink and deep purple. 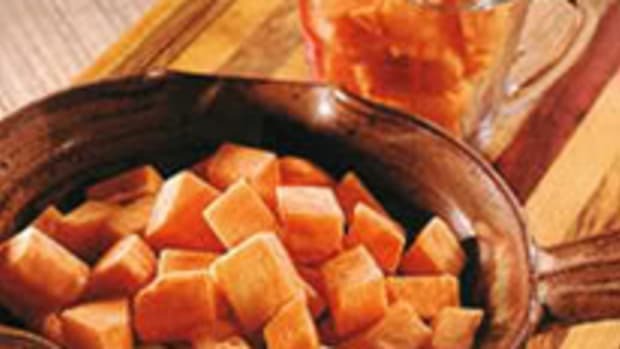 Yams have a similar build to sweet potatoes, but boast plain white insides and rough, scaly skin. 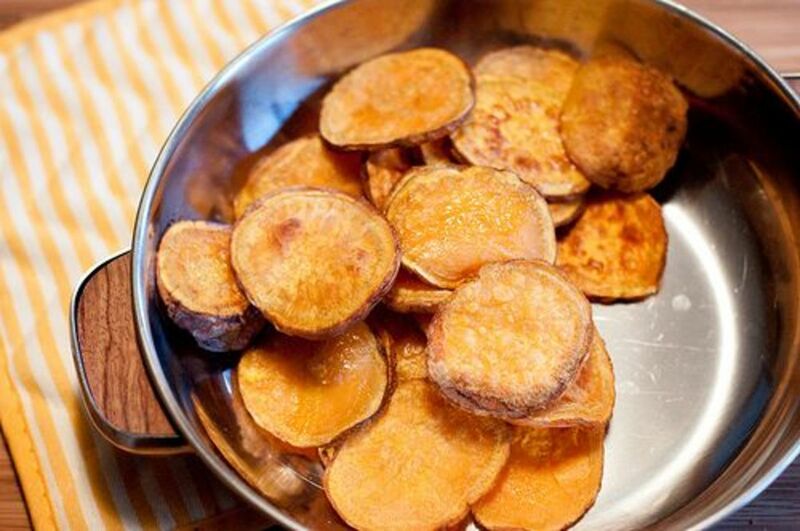 Unlike sweet potatoes’ rich and sweet (duh!) flavors, true yams taste earthy and hardy. They can be used much like a regular potato. Both veggies contain a slew of vitamins and nutrients, but hued sweet potato varieties also boast beta carotene, a powerful antioxidant. 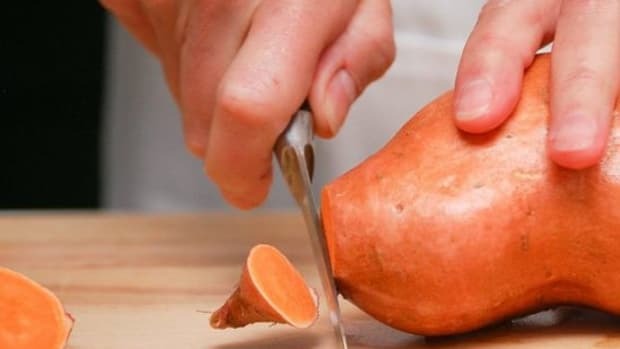 Now, armed with these produce-savvy facts, won’t you just impress the family at Thanksgiving with your sweet potato-yam trivia?